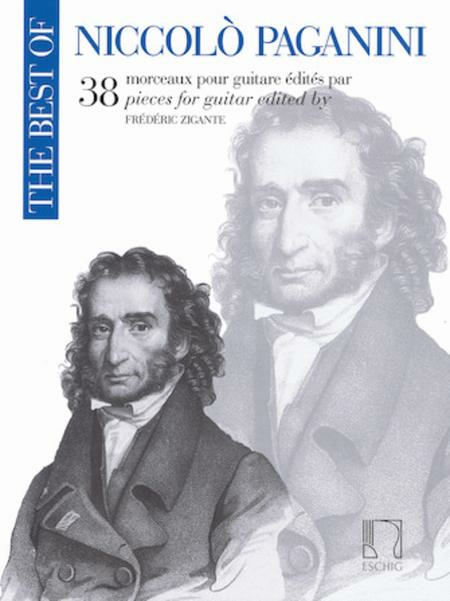 Paganini wrote 140 compositions for solo guitar and almost all his works for strings (mainly for violin: sonatas, duets, trios, quartets and even some concertos for violin and orchestra) were conceived with accompaniment by guitar. The selection of pieces is based on the idea of extracting from this disparate mass the works that best represent the spirit and originality of Paganini. Today, to render this music accessible to any interpreter, it is necessary to supplement it with a polyphonic realization of the parts: this edition adheres to the style of the Viennese publishers in the era of Mauro Giuliani, or, in other words, it writes the high and low voices separately, grouping all the harmonic fillings on these two principal voices.